Russian President Vladimir Putin has been talking at the BRICS summit in Xiamen. The leader says North Korea will not stop its nuclear program unless it feel secure and ramping up military hysteria is senseless and could lead to a global catastrophe. In a starkly worded warning, he told Pyongyang, 'remember what happened to Saddam Hussein'. Putin added that sanctions as a way of influencing North Korea have been exhausted. He also noted that accusing Russia of flouting North Korean sanctions and then asking Moscow to support further measures made no sense. Putin said he will discuss the North Korean flare-up of tension with Japanese leaders. Meanwhile, German leader Angela Merkel has this morning added that the North Korea nuclear tests are a flagrant breach of international conventions. She's made an urgent call more sanctions on the country. That's according to Reuters. 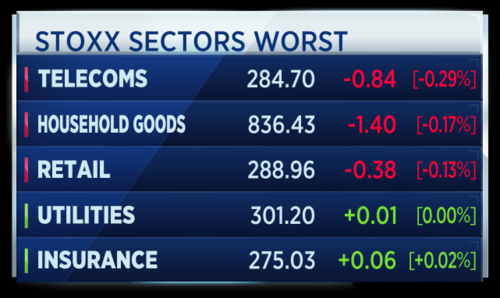 Good morning and welcome to Tuesday's edition of World Markets Live. The U.S. says North Korea is looking for a fight and calls on the UN to impose the strongest sanctions yet for its nuclear testing. Chinese President Xi Jinping warns against protectionism, telling leaders of the BRICS nations that it poses a key risk to the fragile pick-up in the global economy. Aveva is reportedly ready to unveil a £3 billion pound tie-up with Schneider Electric in what could be Britain's biggest technology deal of the year. The sale of Ducati stalls as owner VW reportedly bows to pressure from trade unions to keep the Italian motorcycle business within the group. 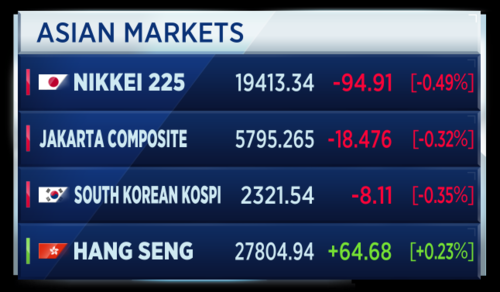 Asian markets have showed continued caution after investors turned to safe haven assets Monday on the back of North Korea's recent nuclear test. 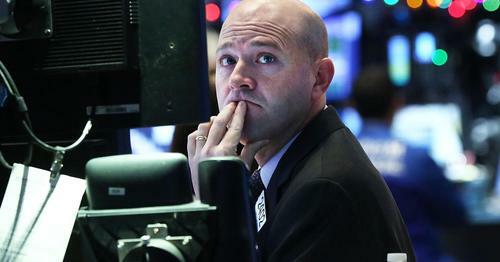 Greater China markets bucked the downward trend to climb higher. Hong Kong's Hang Seng Index, the Shanghai Composite and the Shenzhen Composite all positive. This after China's Caixin/Markit August services purchasing managers' index (PMI) on Tuesday showed an increase to 52.7 from 51.5 in the previous month. This print taken at 6:02 a.m. London time. 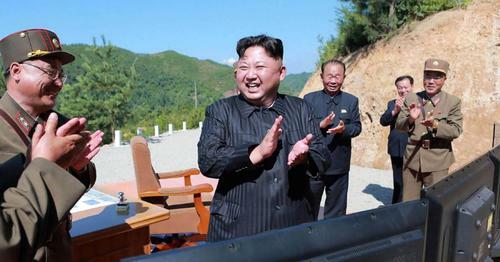 In the aftermath of North Korea’s largest-ever nuclear test on Sunday, the U.S. told the United Nations on Monday that Pyongyang was “begging for war”, before urging the 15-member Security Council to respond with the “strongest possible measures” against the isolated regime. Ahead of the emergency UN meeting overnight, South Korea had reported that it had seen signs the North was preparing to launch more missiles in the near future. 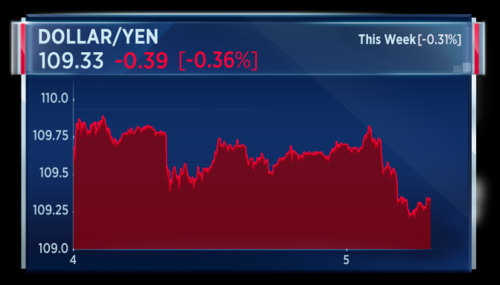 Low volume trading has apparently magnified the dollar/yen move which has seen the Japanese currency continue to strengthen against its U.S. counterpart. 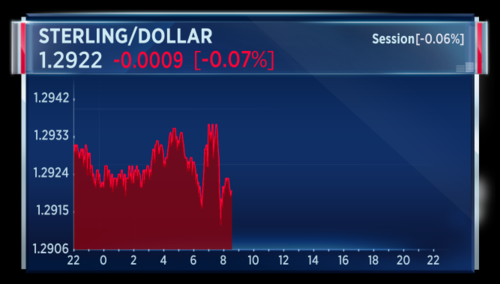 According to one Dow Jones report, traders are sitting on their hands as they await to see what developments take place over any U.S. reaction to North Korea. In essence, no one is moving in to sweep up cheap dollar. Yet. 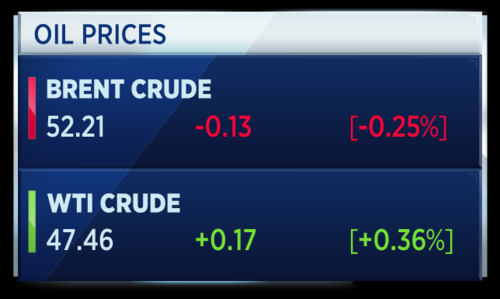 The direction of oil contracts continue to vary as the markets attempt to balance geopolitical issues with the disruption caused by Hurricane Harvey. 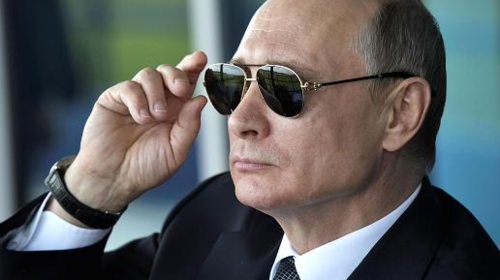 In the latest chunk of news for traders to consider the Russian oil minister Alexander Novak has said that an extension of a supply cap for some producing countries beyond the first quarter of next year is being considered. This after discussions between Saudi Arabia and Russia. Toyota's sales in China grew 13.2 percent in August, up from an 11.4 percent rise in July. The Japanese automaker said it is on track to sell more than 1.2 million vehicles this year in China - the world's largest auto market, and a key region driving Toyota's electric vehicle push. George Galliers, Fundamental Research Analyst at Evercore ISI says Toyota is in a healthy place. He says the firm's position that there is a future for petrol and diesel as well as electric is a sensible one. We concur with their view that disposing with the internal combustion engine is unlikely to happen any time soon and pure battery engines will be a relatively small segment of the market. 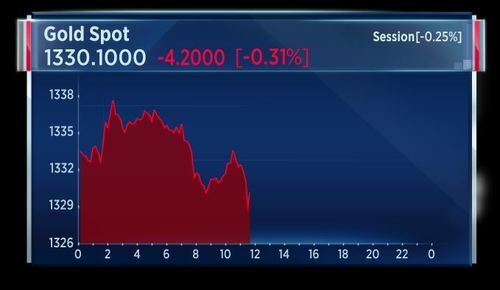 Moving onto auto-makers, Galliers says Daimler and BMW are among the worst performers in Germany's stock market this year. He says in the medium term there is very little risk to the big German autos but management at all of them need to pay more attention to shareholder valuation. 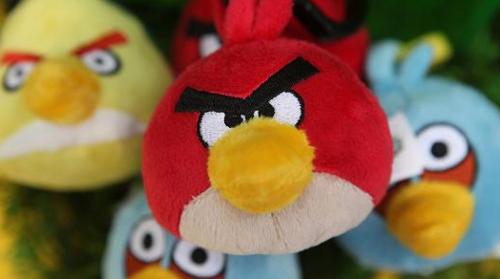 'Angry Birds' maker Rovio plans to go public and list its shares in Helsinki. The firm is currently 70 percent owned by Kaj Hed, the uncle of the company co-founder Niklas Hed. Atomico and Accel Partners are also investors. Flying the private ownership coop? Schneider Electric has reached an agreement to combine Aveva and the Scnheider Electric software business. Schneider Electric will take a 60 percent stake in the fully diluted share capital of Aveva and list on the London Stock Exchange. £550 million cash is to be contributed by Schneider Electric, and £100 million on Aveva's balance sheet will be distributed to existing Aveva shareholders. 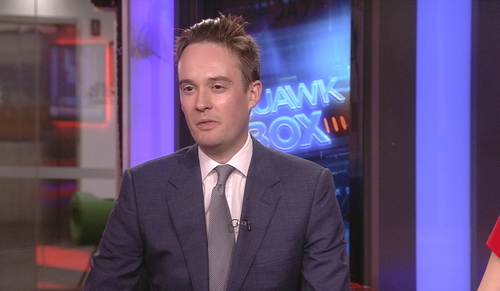 Julian Howard, Head of Multi-Asset Solutions at GAM tells the TV team that a "moderate engagement in equities" is the current clever play. If you are running a relative return sort of mandate, maybe you want to be around the neutral mark. You still want to participate but there is no juice left in the market. 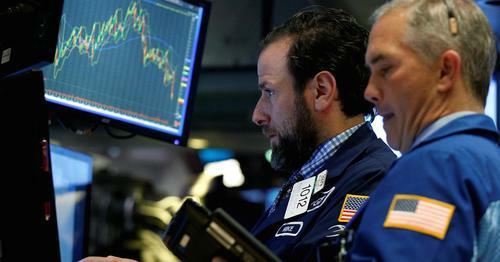 From the end of June to now, equities are up 3 and a half percent so what is left? Maybe a couple of percent over the next 3 months. 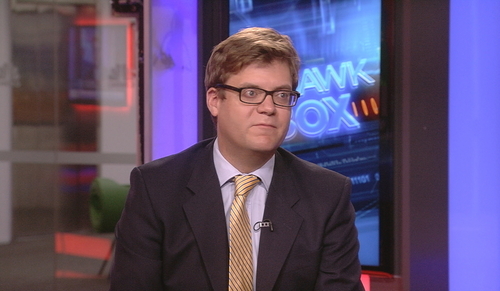 Julian Howard doesn't see much 'juice' left in equities in 2017. 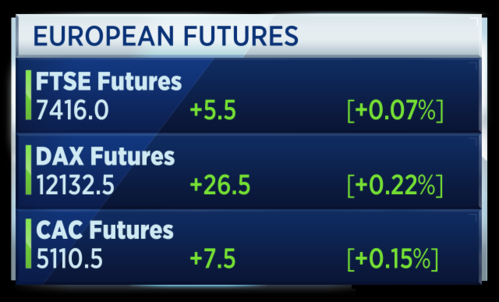 European futures are in positive territory. 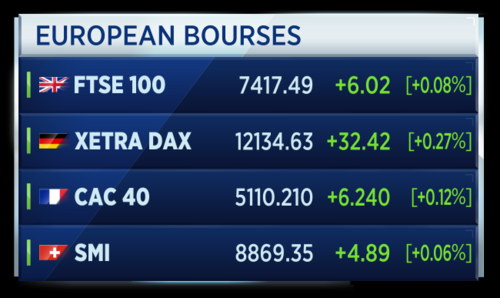 This suggests that underlying European markets will open slightly higher in around 20 minutes. This despite, geopolitical tension concerning North Korea keeping investors cautious in Asian trade. The Reserve Bank of Australia (RBA) has overnight held its interest rate target at 1.5 per cent at its September meeting. This marks the thirteenth straight month of no change. 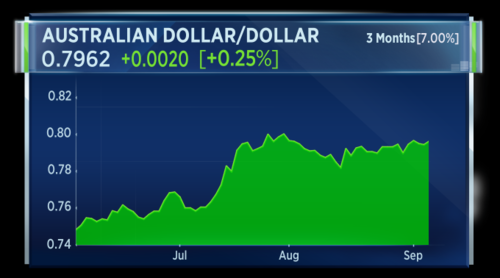 The decision was in line with forecasts and the Aussie dollar initially dipped a touch but is now a quarter of a cent higher against the U.S. dollar. South Korea is aiming to bulk up its warhead arsenal in response to further provocation from the North. Pyongyang is reportedly moving a large intercontinental missile towards the coast in what appears to be a launch preparation. This despite increased international pressure and the threat of more sanctions. The EU's foreign policy chief Federica Mogherini says there is no military solution to the situation in North Korea, but tough measures are need to de-nuclearise the peninsula. Kim Jong Un's action cannot be seen as defensive. He wants to be acknowledged as a nuclear power, but being a nuclear power is not about using those terrible weapons to threaten others. Nuclear powers understand the responsibilities, Kim Jong Un shows no such understanding. His abusive use of missiles and his nuclear threats show that he is begging for war. 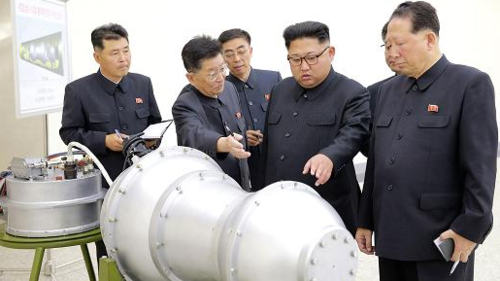 North Korean leader Kim Jong-Un (C) looking at a metal casing with two bulges at an undisclosed location. Undated. 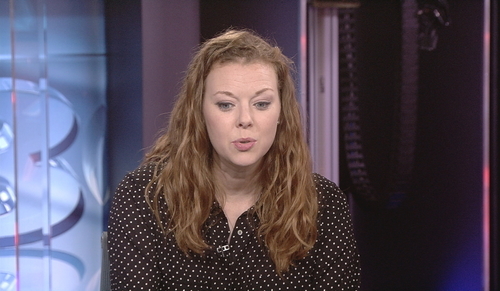 Dr Heather Williams, Lecturer in Defense Studies at King's College London is on set in London to discuss the North Korean situation. She says North Korea believes it is behaving rationally and that it believes nuclear development is the path to regime security. Dr Williams says China's primary interest is maintaining regional security and that is why Beijing feels it is being rational in not intruding too much. For Trump, its really difficult to know what goes through Donald Trump's head and I wouldn't want to hazard a guess. One thing that has been really consistent in Trump's foreign policy is that he really wants to differentiate himself from Barack Obama. This language of fire an fury or escalating military level is just another way for him to be different from Obama. Dr Williams says one thing to note is that there is not a fully filled U.S. government and many roles in the state department remain unfilled. Dr. Williams: Hard to tie-down Trump administration policy on North Korea. 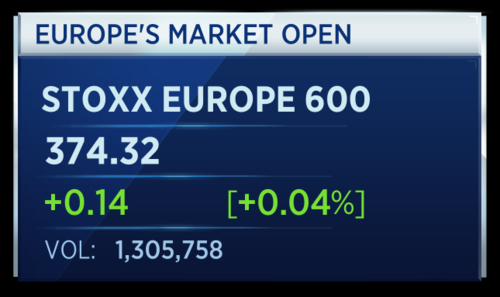 A flat open across the average of Europe's 600 biggest stocks. This is how the individual bourses have settled at the open in Europe. Sector wise, Autos have been leading the way while Telecoms struggle. British engineering software developer Aveva has agreed to merge with the software business of France's Schneider Electric. The tie-up marks the biggest British tech deal of the year so far, with the deal valued at more than 3 billion pounds. This is the third attempt by the two companies to combine, though Aveva's CEO says there's more confidence the deal will succeed this time. 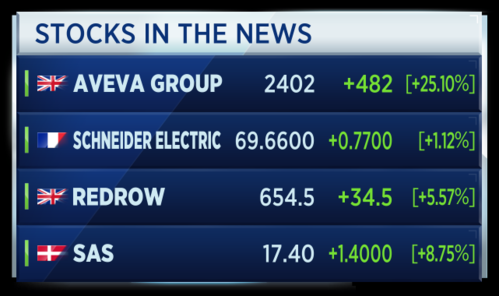 Schneider will take a 60 percent stake in the enlarged Aveva Group under the terms of the deal. Aveva shares have popped 25 percent on the news. In other news British housebuilder Redrow reported a 26 percent rise in full-year pretax profits. Revenue in the period also increased by 20 percent. And SAS has raised its full-year outlook after posting a higher than expected pre-tax profit in the third quarter. The Scandinavian airline said it has a plan in place to raise capacity by 1 to 3 percent next year, even amid a macro environment that it calls uncertain. 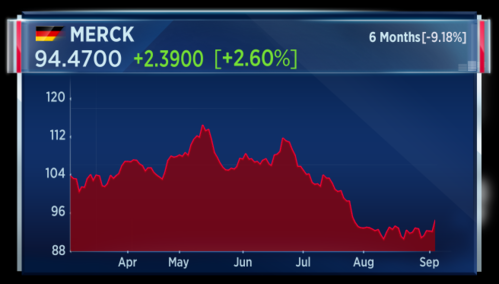 Shares of Merck are trading higher after the German drug-maker said it is preparing strategic options for its consumer health business. In a statement, Merck said potential options could include a full or partial sale of the business, or strategic partnerships. 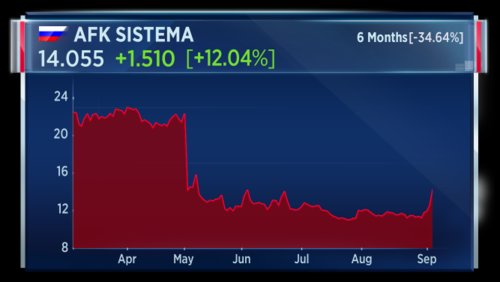 Shares in Russian company Sistema have risen more than 12 percent this morning after comments from Russian president Vladimir Putin. Still more than 34 percent lower over the last 6 months. Sistema and state-owned Rosneft have been embroiled in a legal battle which resulted in a Russian court issuing a $2.3 billion fine to Sistema after agreeing the company had stripped assets prior to being sold to Rosneft. Now Vladimir Putin has said he hopes the matter can be settled out of court after meeting both company heads. Putin said he had given no direct instructions on the way forward to either company. 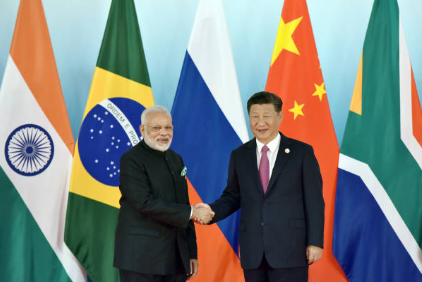 Chinese President Xi Jinping has reportedly told Indian leader Narendra Modi that the two countries need to safeguard border peace. The two have met at the BRICS conference in Xiamen. Tension flared recently as troops scuffled at a region where China was building a road against Indian wishes. China has now withdrawn troops from the area. Chinese leadership was keen to resolve any row ahead of its crucial party conference later this year, where Xi Jinping is expected to secure another 5 years as China's leader. Xi also told Modi that India needs to treat China's development correctly. Germany August Services PMI reported at 53.5 vs forecast of July's 53.1. That's according to Reuters. Euro zone business activity remained robust in August and price pressures increased, according to a survey that suggested momentum would continue this month, likely bringing welcome news to policymakers. IHS Markit's final composite Purchasing Managers' Index for the euro zone held steady at 55.7 in August, slightly below an earlier flash estimate of 55.8. It has been above the 50-mark that separates growth from contraction since mid-2013. The London PR firm Bell Pottinger has been expelled from its industry body for 5 years, officially the highest possible sanction, for stirring up racial tension in South Africa. The firm has been employed by South Africa's powerful Gupta family which backs the existing Zuma presidency. 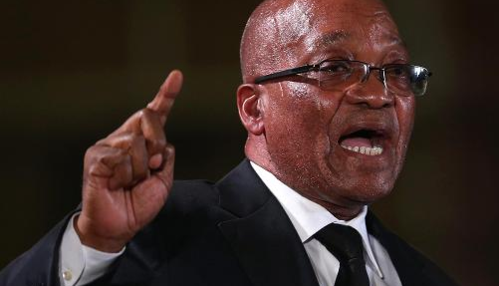 The accusation stood that Bell Pottinger presented any opponent to Zuma's ANC as "white political capital". The Public Relations and Communications Association who excluded Bell Pottinger, told the Financial Times that the practice caused racial discord could have "set back South Africa by possibly 10 years". The U.K. services PMI for August has come in at 53.2, slightly missing forecasts. The data trend suggests slowing growth in the sector, although anything above 50 still indicates expansion. 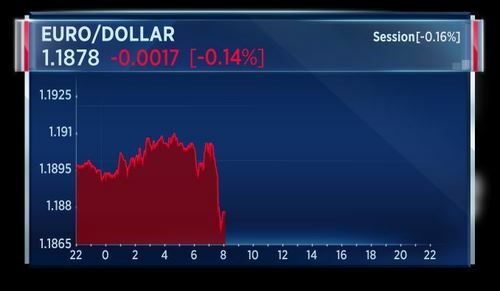 Sterling ticked down a touch on the release. The tie-up marks the biggest British tech deal of the year so far, with the deal valued at more than £3 billion pounds. This is the third attempt by the two companies to combine, though Aveva's CEO says there's more confidence the deal will succeed this time. Schneider will take a 60 percent stake in the enlarged Aveva Group under the terms of the deal. 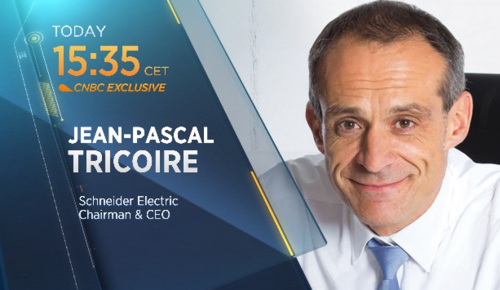 Coming up on CNBC today, we bring you an exclusive interview with the CEO of Schneider, Jean-Pascal Tricoire. That's at 2:35 pm London time/3:35 p.m. Paris time. Aerospace supplier United Technologies has struck a $30 billion dollar deal to buy avionics and interiors maker Rockwell Collins. Under the deal, the two companies will combine aerospace operations. United Technologies is already one of the biggest suppliers to Boeing and Airbus. In pre-market U.S. trade, United Technologies has moved lower by nearly one percent. The U.S. National Hurricane Center says Hurricane Irma (denoted in red below as at 4:47 a.m. eastern) is currently carrying sustained winds of around 150 miles per hour. Residents of the U.S. South and Caribbean are bracing for heavy winds and rainfall after a Irma was upgraded to a Category 4 storm. The National Hurricane Center says Irma could cause "catastrophic" damage. 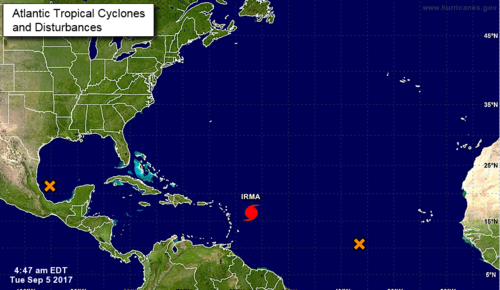 Hurricane advisories have been issued for several territories in the West Indies, including the British and U.S. Virgin Islands and Puerto Rico. 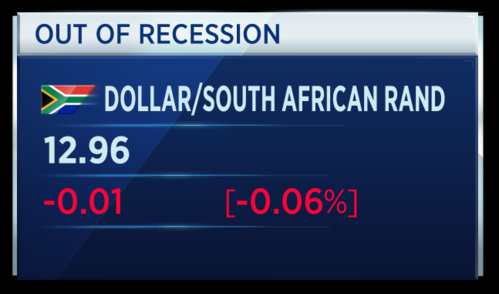 South African GDP has beaten expectations with a Q2 quarter-on-quarter growth rate of +2.5 percent. On a year-to-year comparison the second quarter figure grew `+1.1 percent. This better-than-expected figure is on an annualized basis. The South African rand moved marginally higher on the news versus the U.S. dollar. 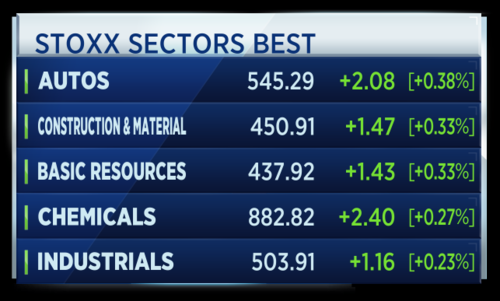 The three main indices in the United States haven't traded since Friday and a lot has happened since then. The Futures markets suggest that all that North Korea news equates to a lower, but not dramatically lower, open of trade in about three-and-a-half hours time. The United States and its allies have ratcheted up sanctions against North Korea in a bid to pressure the country to give up its nuclear ambitions. That might prove a losing strategy. In fact, economic sanctions could actually be bolstering Pyongyang's business competitiveness as firms develop better methods of evading trade restrictions. That, in turn, boosts the rogue nation's economy, arguably enabling it to continue with its roundly-condemned weapons program. In the category of unintended negative consequences, the application of sanctions has led the North Korean regime to find new, better, innovative ways to do business inside of China's marketplace, John Park, adjunct lecturer at the Harvard Kennedy School, told CNBC. CNBCEconomic sanctions could be bolstering Pyongyang's business competitiveness, enabling the rogue nation to continue with its weapons program. Russian President Vladimir Putin said on Tuesday that any decision by the United States to supply defensive weapons to Ukraine would fuel the conflict in eastern Ukraine and possibly prompt pro-Russian separatists to expand their campaign there. That's according to Reuters. On a visit to Kiev last month, U.S. Defense Secretary Jim Mattis said he was actively reviewing sending lethal weapons to Ukraine to help it defend itself, an option that previous U.S. president Barack Obama vetoed. Ukraine and Russia are at loggerheads over a war in eastern Ukraine between pro-Russian separatists and Ukrainian government forces that has killed more than 10,000 people in three years. Kiev accuses Moscow of sending troops and heavy weapons to the region, which Russia denies. Britain's UNITE Union says announces end to pay dispute with Bank of England. That's according to Reuters. 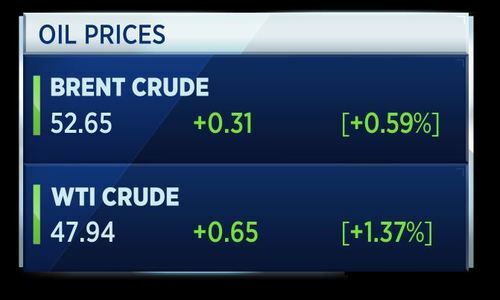 U.S. oil prices rose on Tuesday and gasoline fell as the gradual restart of refineries in the Gulf of Mexico that were shut by Hurricane Harvey raised demand for crude and eased fears of a fuel supply crunch. French Defence Minister says North Korean Ballistic missiles could have the ability to reach Europe sooner than expected. That's according to Reuters. British police arrested four men on Tuesday, including some serving soldiers, on suspicion of belonging to a banned far-right group and planning terrorist acts. That's according to Reuters. The men, aged 22 to 32, were detained on suspicion of being involved in the commission, preparation and instigation of acts of terrorism and of being members of the National Action group. The neo-Nazi organisation became the first far-right group to be outlawed in Britain last year after the murder of member of parliament Jo Cox, whose killing the group had praised. The four arrests were made by counter-terrorism officers in the cities of Birmingham, Ipswich and Northampton and in Powys, Wales. German Chancellor Angela Merkel has urgently called for more sanctions over North Korea. In parliamentary address Tuesday, Merkel said she would meet with European Union (EU) foreign ministers this weekend to discuss ramping up sanctions against the rogue state, which launched its latest and most powerful nuclear test on Sunday. 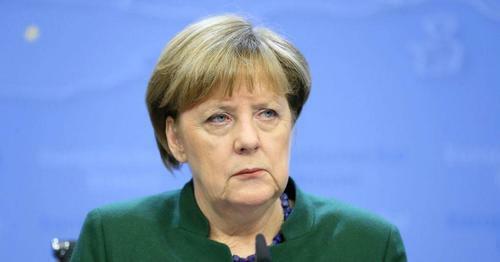 CNBCGerman Chancellor Angela Merkel has urgently called for more sanctions over North Korea. Overseas owners became net sellers of British companies for the first time in 15 years between April and June, according to data that could hint at nerves among foreign investors over Brexit. That's according to Reuters. Foreign businesses sold British firms worth 3.8 billion pounds ($4.9 billion) in the period, outweighing acquisitions of 2.9 billion pounds, the Office for National Statistics (ONS) said as Britain gears up to leave the European Union. Mergers and acquisitions data are volatile and values are often skewed by big deals, with the second quarter including Bank of America Corp's BAC.N 1.9 billion-pound sale of credit card company MBNA to Lloyds Banking Group. Gold eased on Tuesday as investors booked profits after the previous session's rise to a one-year high, though prices remain underpinned by safe-haven demand because of continued concern over North Korea's nuclear posturing. 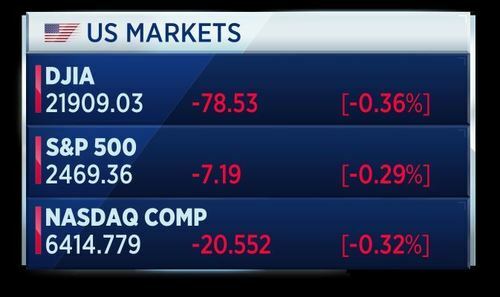 U.S. stock index futures pointed to a lower open on Tuesday, as geopolitical concerns surrounding North Korea's relationship with the West amplified jitters in market trading. 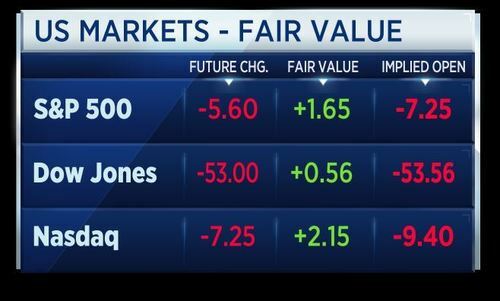 Dow Jones industrial average futures declined 63 points, while S&P 500 and Nasdaq 100 futures pulled back 6.25 points and 9.25 points, respectively. 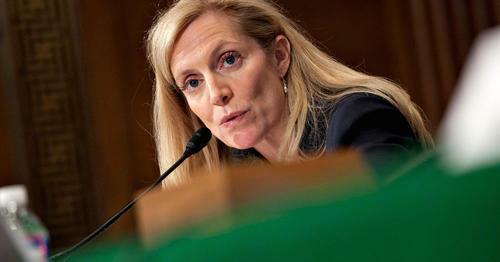 Fed's Brainard says US should be cautious about raising rates when inflation is low. That's according to Reuters. CNBCLael Brainard is a member of the U.S. Federal Reserve's Board of Governors and a voting member of the Fed's policy-setting committee. 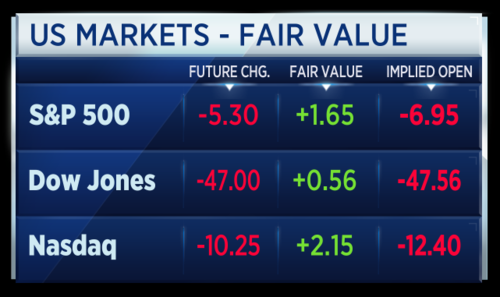 CNBCStock futures pointed to a lower open as geopolitical concerns surrounding North Korea amplified jitters in trading. Britain's main opposition Labour Party says cannot vote for EU withdrawal bill unless amended. That's according to Reuters. CNBCU.S. equities opened lower, the first trading day of the week, as tension between North Korea and the West sent jitters down Wall Street. And we will have to leave to blog here today. Join us tomorrow from 0600 London time for more news and analysis. Till then, have a great day and see you soon.